Sometimes, I feel like this little boy has been with us forever and other times I feel like I should still be holding him in my arms. Truth be told I still hold him as much as I can. I wish that I could slow down enough to take every nap next to him. I really should sit on floor with him more and play. He loves to play. He loves balls, cars and trucks. He also loves to throw things. See that apple he is eating, in just about a minute he's going to throw it on the ground and say "ball" and then if it rolls a far way he's going to say "whoa!" I think that for a fifteen month old he talks quite a bit. My experience is limited to the three fifteen month olds I have had. His laugh comes from his belly and fills the whole room with joy. In fact, when he laughs everyone will come from the other rooms in the house just to hear the sweet sound. He is the perfect amount sweetness mixed with mischievousness. He can clear the playroom shelves in a minute. He'll look at the mess, then look at me and say "uh-oh." Today he empty a bin of my things and said "oh no!" He's so cute when he says it I can't get mad at him. We love this little boy like crazy. Fifteen months later and I still can't believe he's ours. He's something special. I wan't to keep him and all his littleness mine forever, but I can't wait to see how he's going to impact the world around him...With a smile like his, it could only be for the better. Tiny son, turns to little boy. Sigh. He looks so big in that picture with the apple. I can't believe how big Cooper is getting - a proper little boy now. 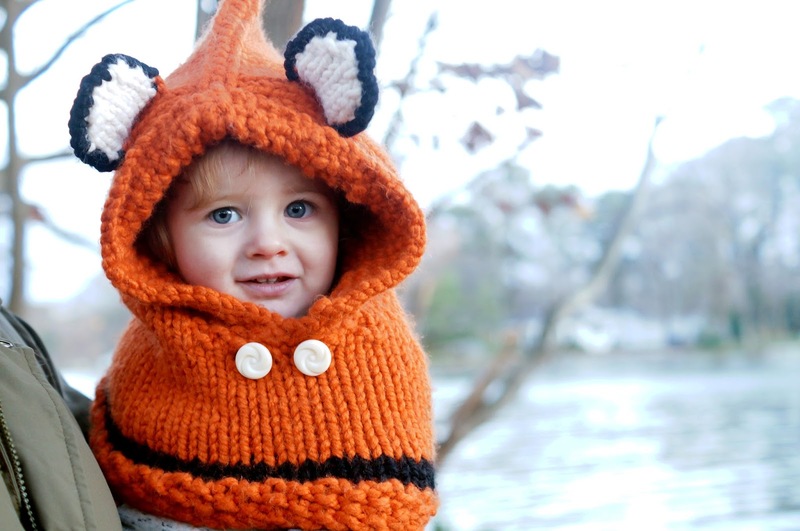 Pictures say it all...Cooper is growing up ... and he is adorable in his fox hood.